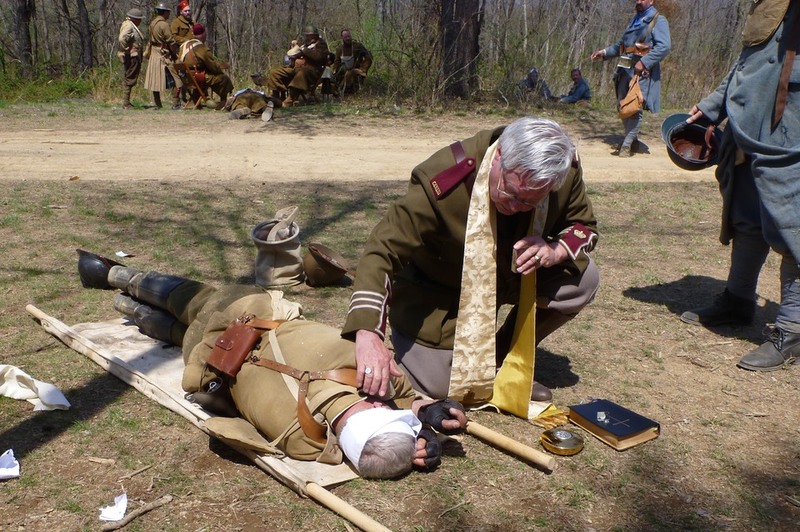 Battlefield casualties received first aid treatment on the field. 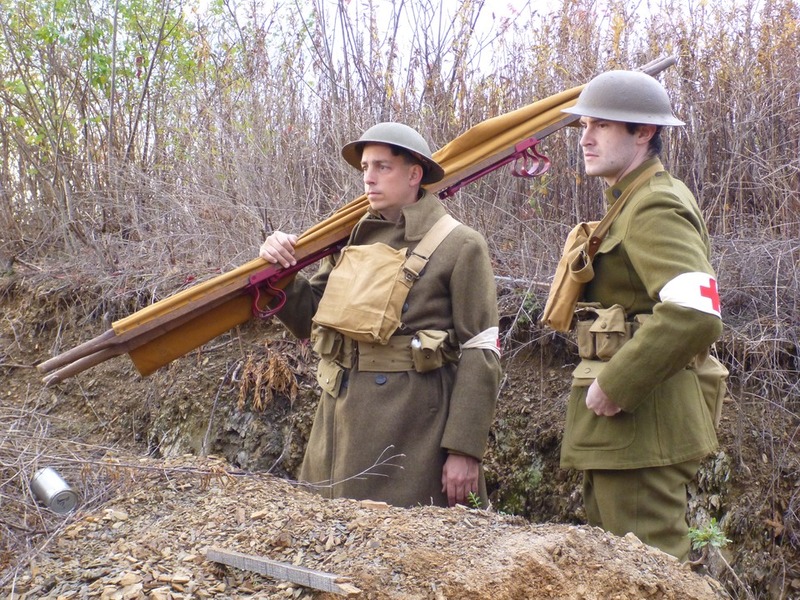 Each soldier carried a FIELD DRESSING on his person. 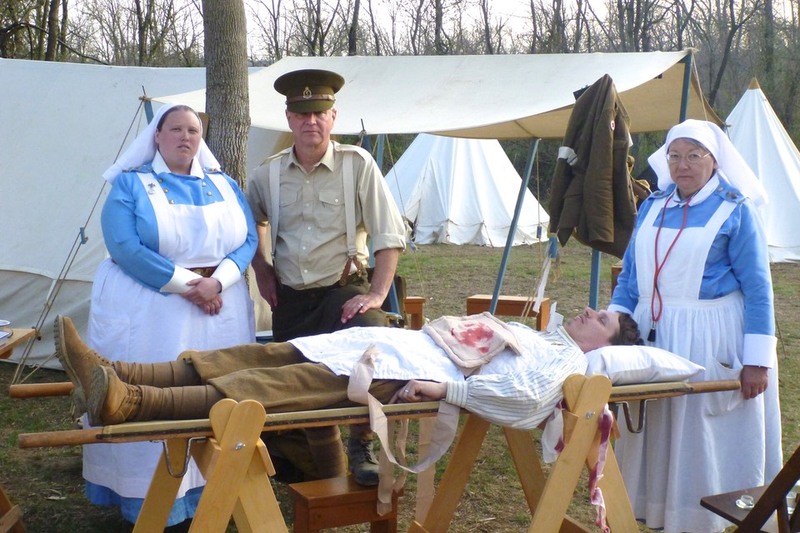 This dressing could be applied by the wounded individual himself or by another soldier or a stretcher bearer. 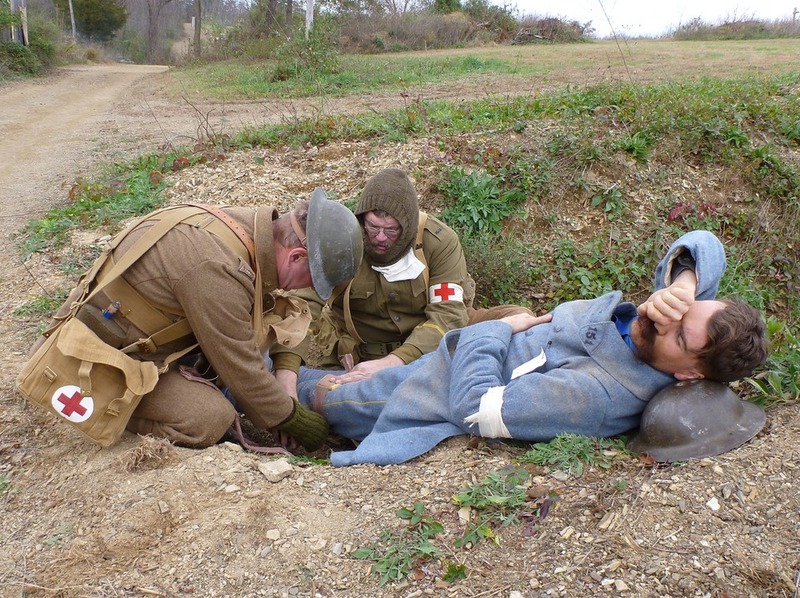 A Medical Officer situated as close to the fighting as possible would receive the wounded into his care and do what he could for them there. 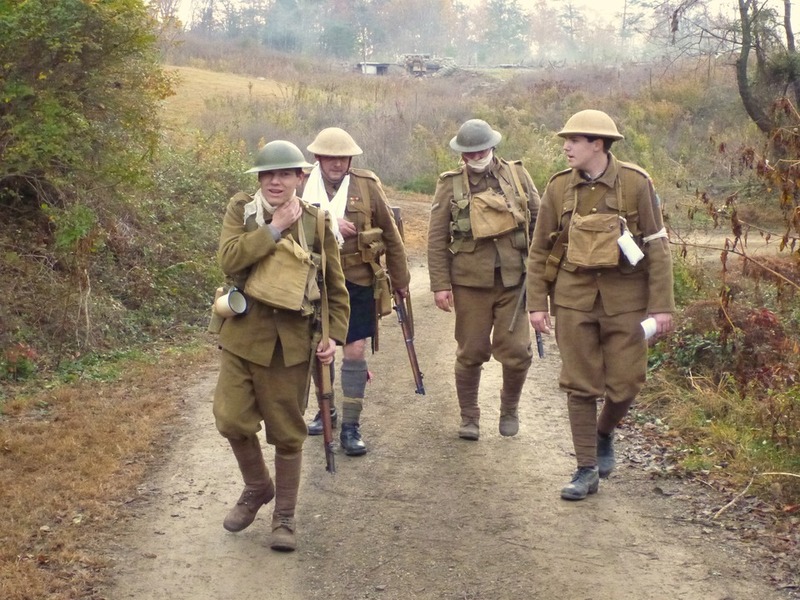 The wounded were then taken to an Advanced Dressing Station. This served as a collection point for battlefield casualties. 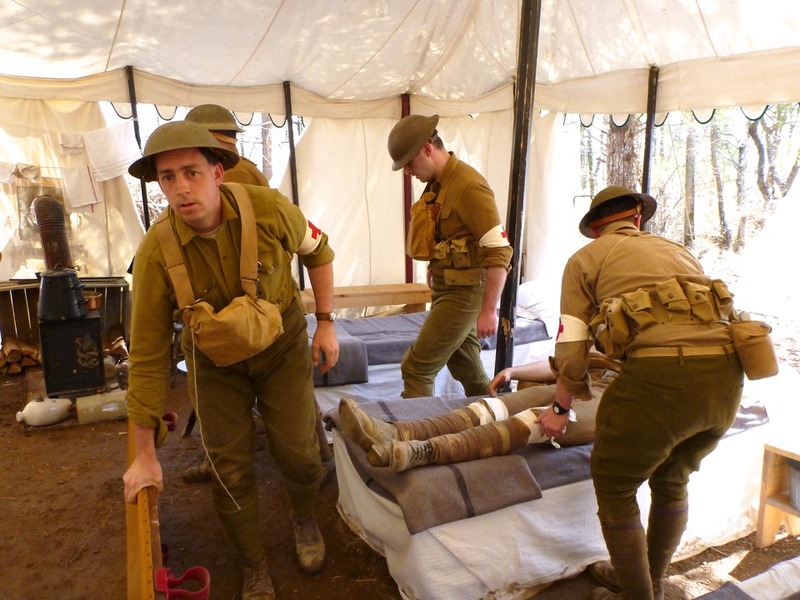 Teams of stretcher bearers relay the wounded further back to a Regimental Dressing Station. Finally the wounded would reach the CASUALTY CLEARING STATION. 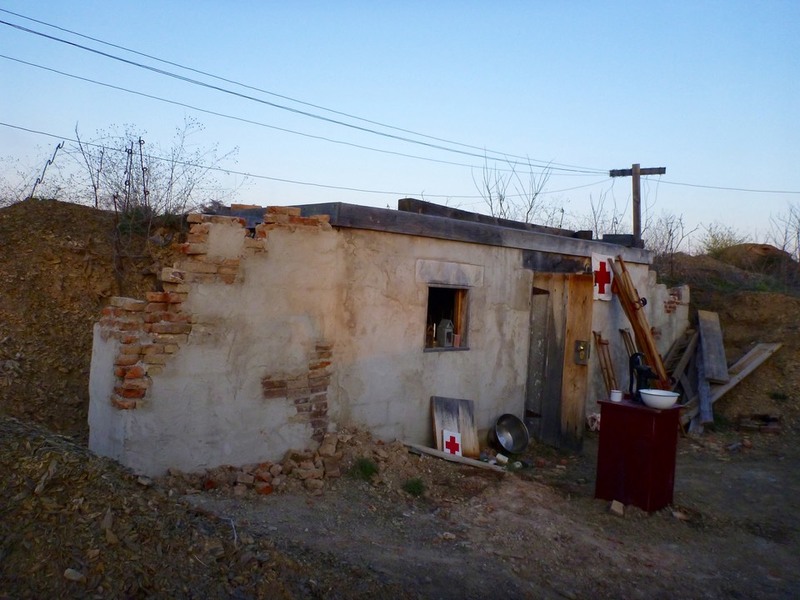 At this location advanced medical treatment was available including a limited number of surgical procedures. Wounded were evacuated from the CCS by wagon or light rail and would be sent to General or Stationary Hospitals for recovery. 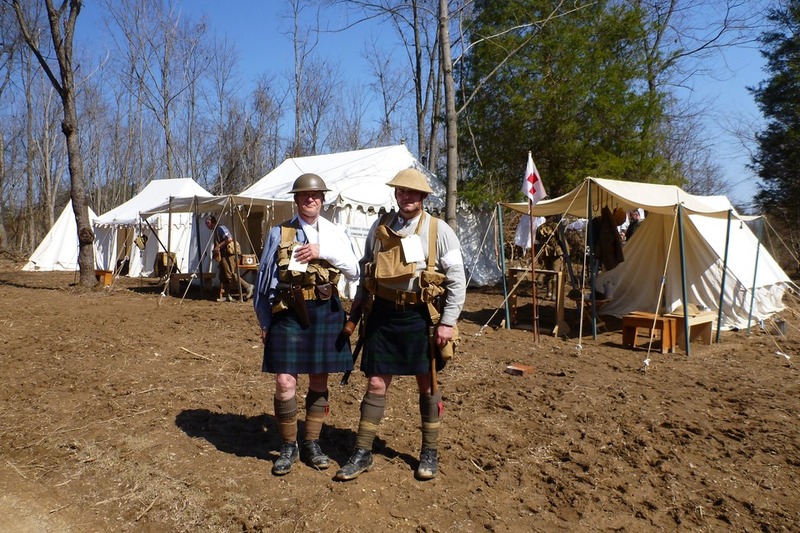 These would include Convalescent Hospitals and were located in France or England. A glimpse at a portion of the Casualty Clearing Station tentage. 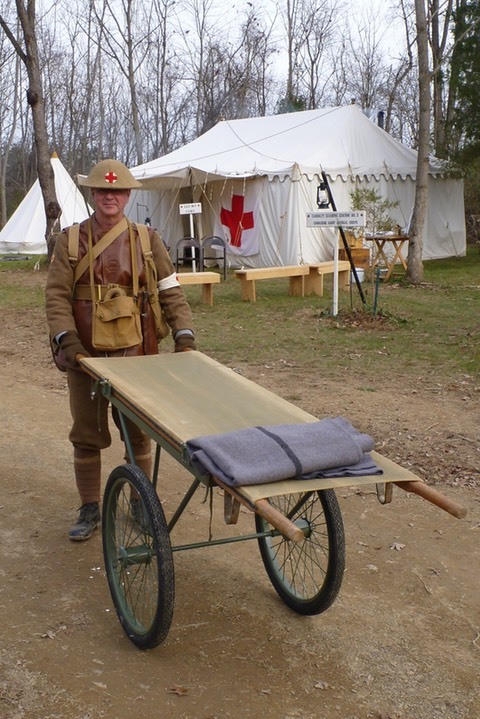 Where available at collection points wheeled stretcher carriers were employed to allow for more rapid and effecient evacuation of the wounded. Outdoor emergency surgery. Nursing Sisters often served as anaesthetists. 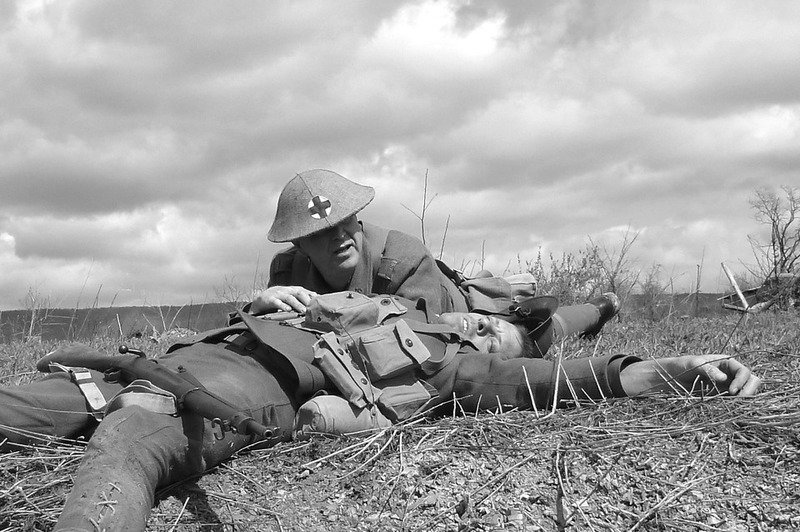 Chaplain provides comfort to the mortally wounded.